There are many forms of addiction. Though drugs and alcohol are the Big Two, there are people who suffer as well from addictions that society considers more acceptable. They’re called shopaholics, workaholics, rageaholics. Others would say that the ultimate addiction is to our own negative thinking. Whatever the addiction, we all know that they can wreak havoc in our own lives and those of our family and friends. 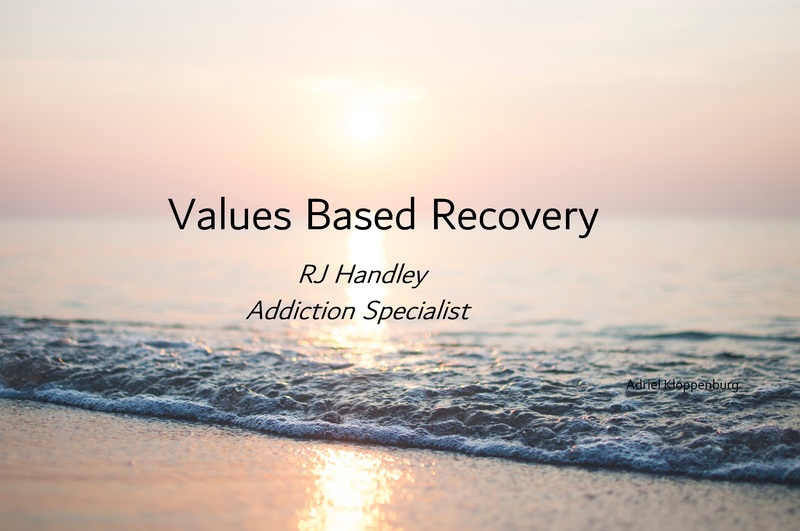 The concepts behind Rational Recovery, a relative newcomer to the addiction scene, combined with those of Alcoholics Anonymous can be a powerful one-two punch for overcoming addiction. As a recovering addict myself, I have been puzzled why it is that I became addicted while those around me appear free from them. In AA, I learned that my addiction is a disease. Rational Recovery, on the other hand, says that my addiction is a function of my brain’s wiring. It is, therefore, a habit, not a disease. Although I often feel compelled to take a side in this debate, I believe that it is vitally important for me to remain open and willing to listen to both sides. This is because I have a passion and commitment to helping others overcome their addictions as I have been helped to overcome my own. I will use whatever ethical means to bring relief to the still suffering. If this means that I embrace an approach different from the one that saved me from my addiction, then I will suggest it to my clients or sponsees who I am committed to helping. As I have learned from my Buddhist brothers and sisters, often the best solution to a problem is not choosing one side over another but choosing the door between them—the middle way. I am convinced that if I hadn’t walked through the doors of AA a decade ago, I would be dead today. But, at the time, that was the only solution I knew. And I know through my work with addicts, that AA has saved their lives, too. Yet, there is merit in considering what Rational Recovery has to offer. After all, there may be great power and value in learning from both so that I will be better able to extend a hand and help lift addicts from the trenches of their addiction. Just recently I read The Little Book of Big Change, by Dr. Amy Johnson. In it, Johnson explains the concepts behind Rational Recovery and provides her wisdom on the topic of habits in a very easy and entertaining way. Rather than trying to condense its 200 pages into this blog, I will present the concepts that I believe are the most helpful to addicts. • You weren’t born with your habit. Your habit isn’t natural to you; it is artificial, innocently created by you as a function of the way you relate to and act on your thoughts. • We engage in what becomes habit to help us avoid pain and make us feel better. Habits provide distractions from addressing issues within ourselves that we don’t like. • Urges (cravings) are thoughts. Habits/addictions are created because you act on your urges. • The difference between a person for whom a particular thought or behavior is a habit and the person for whom it is not is that the person with the habit entertains, takes seriously, and ultimately acts on some thoughts that others do not. • Each time we obey an urge, we strengthen the brain (neural) circuitry that supports the habit. • Neurologically, your urges live in your lower brain—the amygdala—also called the lizard brain because it is the oldest part of the brain. • The first few times you experienced an urge and obeyed it, you strengthened the connections in your brain between your habit and positive feelings. Your lower brain saw that when it produced an urge, you acted on it and felt good, which told your brain, “This works”…So the urges continue. Each time you gave in to them, they became stronger. • The amygdala’s chief concern is our survival. That’s why urges seem to have the power of life or death over us. • When you mistakenly view urges as dangerous, personal, unbearable, or somehow permanent, you naturally give in to them. • Urges are actually only a temporary experience made of nothing but conditioned thought. • All thoughts are temporary—even urges—and they settle just like the snow settles in a snow globe if we don’t continue to shake it up. • When we take urges seriously and very personally, we try to reason with them, debate them, and problem-solve them. We are shaking the snow globe. Our mental and emotional entanglement with these thoughts only encourages them. • When we don’t indulge the urge, the neural connections to those urges weaken and fade on their own from disuse. This defies our programming from childhood because we have learned that problems require action—not inaction. So inaction seems very counter-intuitive, but it is what’s needed. • The higher brain, located in the pre-frontal cortex, is the part of the brain that decides whether we are going to act on our lizard brain’s urges or not. • We don’t make the lizard brain the villain. It is like a machine that is programmed to do its job. In that way, it is like an alarm clock. The amygdala sounds the alarm because we continually reset it by indulging its urgings. • We don’t have to say yes to urges from the lizard brain. Our higher brains provide the free will to exercise free won’t. • Knowing that there is no thought or urge in the world that can make you do anything is a game changer. • When your new normal is urge-free, your habit will have no reason to exist. After reading about Rational Recovery, I have come to believe in its truth. And I find that its concepts are actually invaluable to the treatment of addiction because Rational Recovery explains the neurological roots of addiction whereas 12 Step programs emphasize its behavioral roots. For those of us who are addicts, we know how difficult it is to overcome addiction. For me, I needed the strength and wisdom of my Higher Power to free myself. I also needed the support of my AA brothers and sisters to remain committed to that freedom that sobriety brings. So the spiritual solution and support that AA offers combined with the deeper understanding of addiction that Rational Recovery offers are powerful tools for recovery.